A food law research program to develop local and sustainable issues in the territories. The Lascaux food law research program , led by the University of Nantes under the direction of researcher François Collart-Dutilleul, drew up a collection of typologies of public food policies in local and sustainable collective catering. 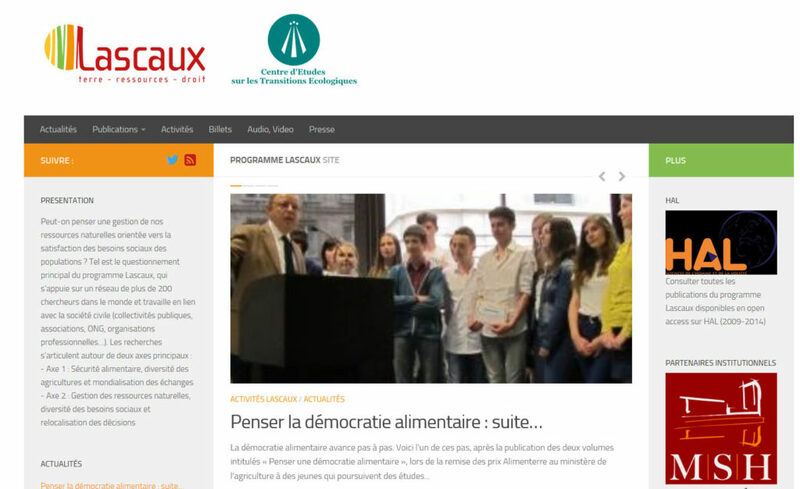 The associate researchers have studied the Mouans-Sartoux experience and participate in the transmission of knowledge via the University degree "project leader in sustainable food", set up in 2018 by the University Côte-d'Azur.